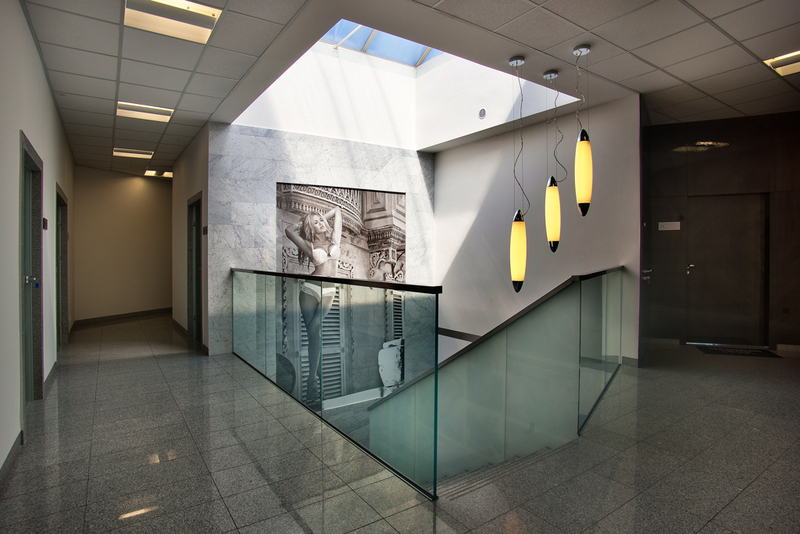 Oversized glass panels in KINGA company. Glass balustrade. The edge of glass is finished with stainless steel. Company’s products are exposed on glass wall in the background of the front desk. 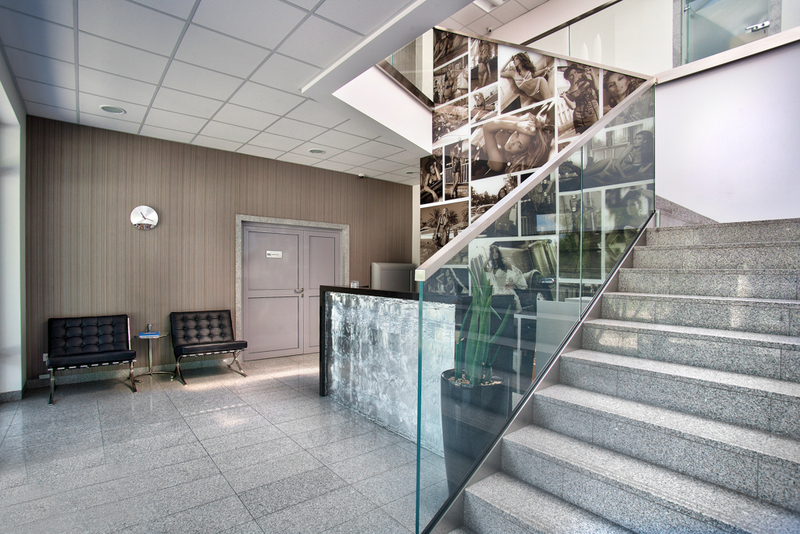 Reception is decorated with silver plated glass panel.